At the MIT School of Science, we celebrate the achievements of faculty, staff, students, and alumni. The School of Science annually awards teaching prizes for faculty excellence in teaching. Nominations for awards are submitted in the late spring. The Dean of the School of Science offers a fellowship to students nominated by their departments to support their graduate studies. 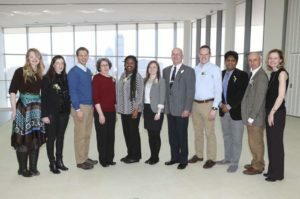 The Staff Excellence Awards program recognizes the significant contributions School of Science staff members make to the MIT community, particularly for accomplishments that go beyond their typical roles and duties.